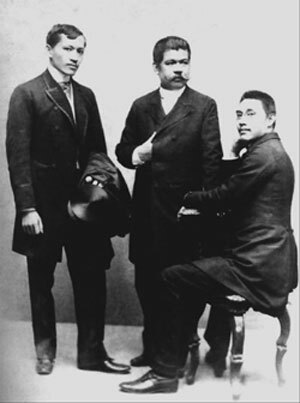 The Philippine Reporter marks the June 12 Philippine National Day this year with the reprinting of two historical articles on the Philippine-American War of 1899 (page 4) and on the conflict that led to the trial and execution of Andres Bonifacio (page 8), the founder and leader of the revolutionary Katipunan that launched the armed struggle that toppled the more than 300-year old Spanish colonial regime. Both articles are from Wikipedia, the free online encyclopedia, with footnote numbers pointing to sources and references. We did not remove the note numbers but we did not print the footnotes themselves. Readers may log on to www.wikipedia.org for the footnotes. We hope that notwithstanding the enormous volume of facts, names of people, dates of events and references to various other information, readers, especially those who didn’t have the opportunity to study Philippine history in a profound way, will form a general though substantiated view of the crucial events that helped shape Philippine society today.